The telescopic operation with high-strength individually-adjustable aluminum gripping handle tubes, guarantees the long reach of the RR900T lopping shears. This allows both easy access to cut the higher branches on a tree, and also permits convenient cutting up of branches on the ground without strenuous stooping. Moreover, the lightweight design makes work easier, as the tool is reinforced with soft-lining grip on the handles. The RR900T telescopic bypass lopper has a very light cut on branches up to 1.97" (50 mm) in diameter. 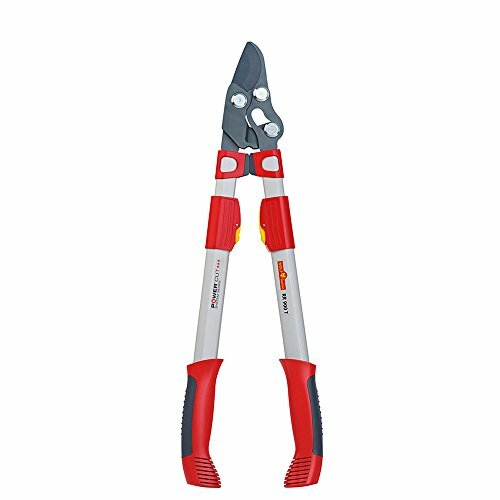 WOLF-Garten® RR900T telescopic lopping shears have an overall length of approx. 650-900 mm. The weight of this lopper is unbelieveably light at 3.86 lbs. This lopper is the upgraded and redesigned version of the RR650T Lopper which has been discontinued.